Macka Diamond had to clapback at a social media user who accused her of stealing another woman’s husband. The “Dye Dye” singer uploaded a photo online with her new boyfriend Spotlight Kunta last week when a fan made the damning statement. 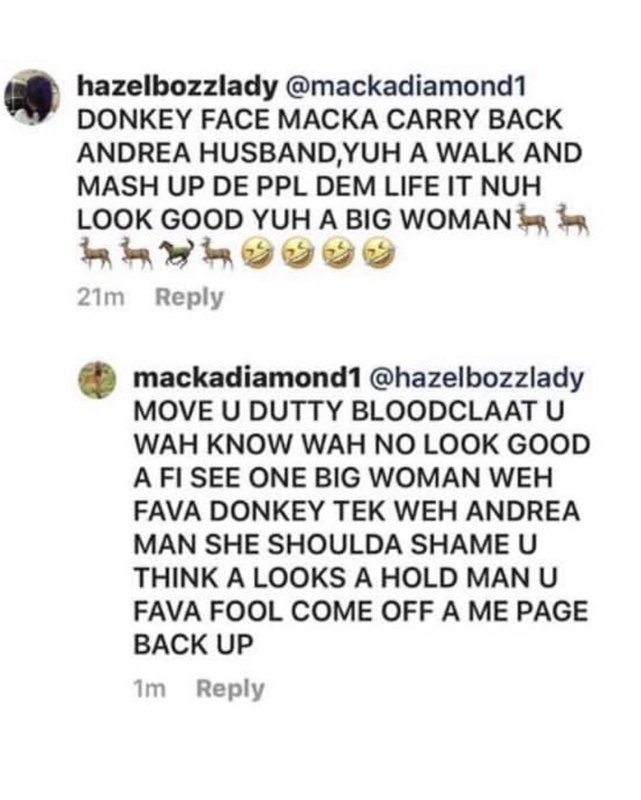 “Donkey Face Macka Diamond carry back Andrea husband, yuh a walk and mash up de ppl dem life it nuh look good yuh a big woman,” the user wrote.